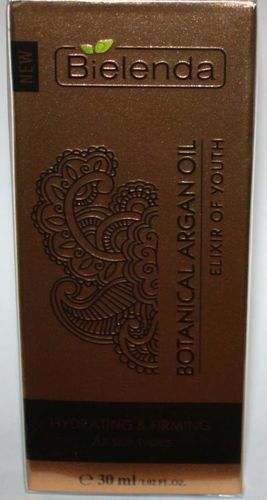 Argan oil is a true beautifying elixir for all skin types. It possesses the richest cosmetic properties, nourishing and rejuvenating skin's look. It is a valuable source of omega 6, omega 9 and vitamin e, which helps in the fight against the look of skin discoloration and restores the balance of dry and dehydrated skin. anti-wrinkle: smoothes the appearance of existing wrinkles, smoothes and moisturizes the skin. Protective: Protects the skin's look from the damage from cold, sun and wind. Discoloration: Works for problematic and allergic skin. Effect: Skin appears rejuvenated and full of radiance. Application: Apply a few drops of the oil directly to the face and with circular movements massage into the skin using fingers..